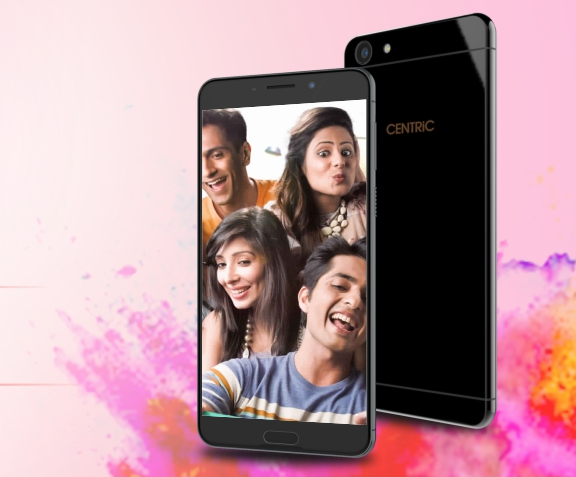 Indian smartphone brand Centric has launched another smartphone, the Centric L3, as their latest budget offering in the market. With the new L3, Centric has expanded its portfolio of budget smartphones in the market. With the Centric L3, the company is focussing on feature-rich entry-level smartphones. The device comes with a 5-inch display, quad-core processor, Android Nougat, and up to 256GB expandable memory. Carrying these specifications, the phone is competing with offerings like the 10.or D and the Xiaomi Redmi 5A. Here are the complete specifications of the phone. For the uninitiated, Centric is establishing itself in the Indian market with a lineup of entry-level and budget smartphones. The Centric L3 is the latest offering from the company, priced under Rs. 10,000. The device is sporting a 5-inch HD IPS On-Cell display with 1280 x 720p resolution. Coming to the optics, the phone is equipped with a 13MP main camera with Autofocus and LED flash. There is also a 5MP front-facing wide-angle lens for selfies and video calling. With these optics, the Centric L3 is offering well at least on paper. Talking about the hardware, the phone is packing a quad-core MediaTek 6737 processor, clocked at 1.3GHz. This processor is accompanied by 2GB RAM and 16GB internal storage. There is also expandable storage up to 256GB up to microSD card. The device is running Android 7.0 Nougat out-of-the-box. In terms of battery, the Centric L3 is backed by a 3,050 mAh battery which gives a standby time of 240 hours. Also, it is a Dual SIM smartphone with WiFi, Bluetooth, GPS, Micro USB, and 3.5mm earphone jack as the standard connectivity options. Coming to the pricing, the Centric L3 is priced at Rs. 6,745 and is available offline only, in Quartz Grey and Raisin Black colors.